Toledo's J.D. Weatherspoon attempts a field goal in the first half against Northern Illinois on Wednesday, February 26, 2014. 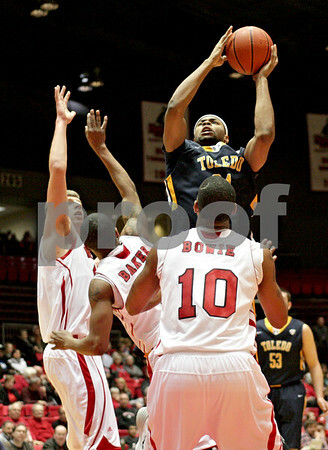 Toledo lost, 74-66.